This recipe for Apple Pie Pockets is just a variation on my Apple Pie recipe. I love the presentation of the dessert this way. It’s something different and very appealing. I’m all about trying to be as healthy as possible, but I haven’t been able to come up with a whole wheat pie crust recipe that I really like. (I probably need to test these a little bit more.) So for now, I’m just using the roll-out pastry dough found in the refrigerated section of the grocery. These taste amazing, so when I can find a deal on them, I will buy quite a few at the sale price. I keep them fresh by storing them in the freezer. If you want to do this too, just be sure to let them thaw out well on the counter before using. Otherwise, they might break. If they do break, just roll them back out again with a rolling pin or pastry dough roller like these. Now, this is about as simple as it gets. 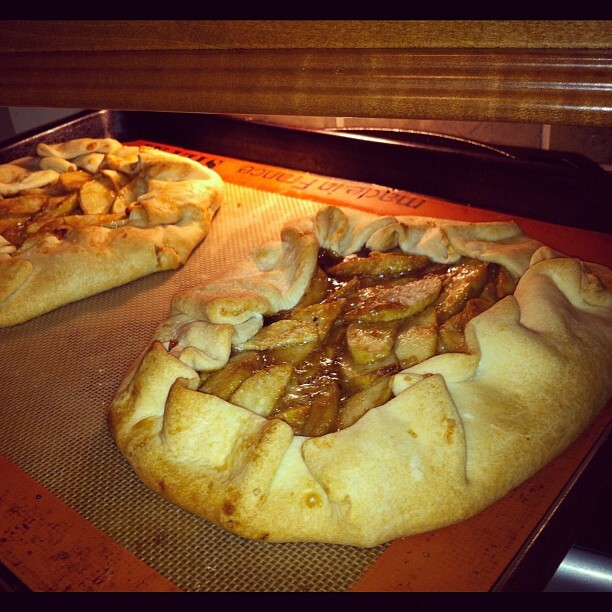 You are just going to basically fill the pie crust with the apples (see recipe below). Take the circles (two per package) and catty-corner them on your baking sheet. Fill the very center with half of the apples on each one. Then, take the sides and pull it up, shaping it around the apples so that you see the apples sitting in the center, just like in my picture above. Simple! Once these have baked and cooled, add a scoop of vanilla ice cream and drizzle caramel sauce over the top. Set out pastry circles to thaw. Spoon half of apple mixture into center of each well-thawed pastry circle. Pull pastry up and around apples, shaping it like a pocket (as in photo). See all my Dessert Recipes HERE. Has anyone tried replacing sugar with Splenda? Sounds wonderful but I am diabetic. I have always associated my grandmother’s apple pie with my childhood. Apple pie smells like my childhood! Love this recipe and I have to try to recreate it. 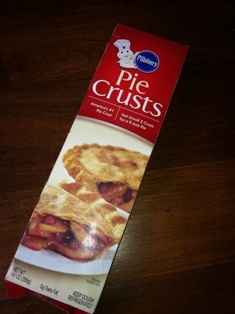 Use Whole Wheat Pastry flour in your normal pie crust recipe. It worked great for me! Splenda is not healthly on many levels. Try xylitol instead of sugar.